prayers here in our community. Kevin and The Lazarus House will provide countless resources to better assist the transitioning for men from all walks of life and help restore families. Their mission is to not only provide countless resources to better assist transitioning for men from all walks of life and provide a safe, comfortable, and clean environment to work towards a better way of life; but most importantly they provide a solution. Their belief is that there needs to be a complete transformation, not behavioral modification. The change occurs when the heart is awakened to the belief of a better way of life. I am very honored today to share the opening of Lazarus House with you and to Kevin Bowman who has allowed me to share his recovery story with my readers today. My name is Kevin Bowman and I’m 32 years old. My life has taken many twists and turns over the years. If I had to pick just one thing that God has taught me in my life it would be this, Every life has high points and low ones…mountains and valleys. Mountains are for great views, you can stand on the high points and look out on all that God has done in your life, but nothing grows on mountain peaks. Valleys are hard to traverse, filled with struggles and dangers because that’s where everything grows. Without the valleys that God has led me through I would not be able to appreciate the view from the mountain-top. At five years old I was adopted by Tom and Loraine Bowman. These two people would instill in me the morals and values that I have today, but most importantly they gave me my first glimpse of a loving God. I started getting high when I was fifteen. I was overweight and trying everything I could to fit in with my peers. This would be the beginning of the hardest valley I have yet traversed. I overdosed at sixteen, was incarcerated at seventeen, kicked out of the army at 21, incarcerated at 21, incarcerated at 23, incarcerated at 25…26…and finally at 28. 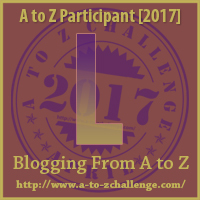 I spent the interim of my stays in the penal system homeless and addicted. I robbed, lied, and manipulated anyone who let me close enough to use them for my own means. claimed to not believe in God but I was praying daily for God to allow me to die. On March 4th, 2012 I broke into a house. I was so high that I don’t remember hardly anything from that night but one thing stands out specifically. On the refrigerator, there was a to-do-list and in the middle of that list circled it said grow closer to God. I was arrested the next day and the police drove by the house I had broken into. I saw the residents on the porch and the woman was bawling her eyes out. For the first time that I could remember I felt guilty…I saw the destruction that my actions had caused this family and I felt absolutely horrible. I spent 31 months locked up my last time and on September 26th, 2014 I walked out of the front gates of Huttonsville Correctional Center. This time was different. 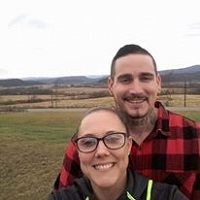 I came to Huntington, WV to Newness Of Life and that’s where I met Justin W. Ponton. That man saved my life, more than that though because he taught me that my past was only a hindrance if I let it be. answered my prayer and removed the desire to use from me. Looking back I can see His loving guidance since that day…the people placed in my path and the doors that have been opened…the only reasonable answer is a loving God. Many thanks to Kevin for allowing me to post his story and for sharing his special project here today. Another amazing story of recovery and proof that people do recover from substance abuse. Unfortunately , The Lazarus House is still in need of some minor repairs and some renovation projects. If you are interested in donating a few hours of time, materials and your skills let him know. There is also an application to the city for a special exemptions for the house with a $400 filing fee. Lazarus House could also use some donations of goods. He tells me they are in need of basic home furnishings such as couches, chairs, tables, microwave, coffee maker, curtains, hygiene items, cleaning supplies, towels, washcloths; basic household supplies. If you would be interested in helping with these items please feel free to message me. We will also be needing metal frame bunk beds and bed bug resistant mattresses (twin size) with sheets blankets and pillows. If you would like to help with these please contact me for information. And of course please please please keep us in your prayers. 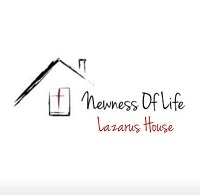 If you would like to make a donation to the Newness of Life Lazarus House or would like to donate some of your time and talents to a great cause please contact Kevin. To anyone struggling with this addiction and ready to make a change in your life today, please reach out to Kevin today. Please reach out today by visiting and friending him on his Facebook page Newness of Life The Lazarus House. So, what do you think about this story? About the Lazarus House? Leave a comment. organization making a difference here in Martinsburg with a post about Martinsburg Renew.